Light it up: Philips has announced that Hue, its programmable smart lighting system, will be compatible with the Apple Homekit this Fall. 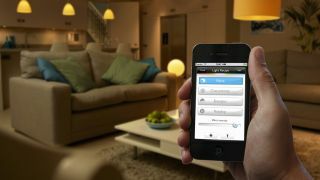 Philips has said that all existing Hue lights will be made compatible with Apple's home control system, also stating that Apple will help existing customers upgrade their lighting. It's possible that a simple firmware update could add compatibility, without having to purchase a new hub. Most of the specifics are still being finalized so it will be a bit of time before we know all the details. According to Phillips, the rollout begins in Fall of 2015. No word or update on Homekit at WWDC 2015. Most likely, we will hear some more specifics when Apple's usual September event rolls around.